Darlings, as you already know, we are in the throes of the age of technology. Our fingers are forever furiously texting away on our iPhone’s; we have cast paper cuts aside so as to read the latest bestseller’s on NOOK’s and Kindle’s; and we constantly have our eyes glued to the screen of a laptop (mine is a pink Dell), or iPad. With a constant reliance on such technological tools, it is no surprise that we should desire cute clothes for our tech accessories via kitschy and colorful cases – precisely what one (1) of you lucky ladies will soon be taking home! Surprise, surprise, lovers! Café Fashionista has teamed up with Caseable, a Brooklyn and Berlin based company that specializes in cute cases and covers for everything from Kindle’s and MacBooks to iPad’s and standard writing journals, to bring one (1) ravishing reader a $49.00 Gift Certificate good towards any Caseable product you find yourself head over heels with! ♥For one (1) entry, leave a comment on this post stating which item you would put your Caseable Gift Certificate towards between now and Friday, March 16, 2012 at midnight PST. ♥For two (2) entries, Tweet about this giveaway, and leave a comment on this post stating which item you would put your Caseable Gift Certificate towards between now and Friday, March 16, 2012 at midnight PST with your Twitter URL. ♥For three (3) entries, become a follower of Café Fashionista on Blogger/Google Reader/Google Friend Connect, or Twitter @cafefashionista, and leave a comment on this post stating which item you would put your Caseable Gift Certificate towards between now and Friday, March 16, 2012 at midnight PST (if you are already a Café Fashionista follower, please say so in your comment). I will randomly pick one (1) name out of a hat (who knows, it could be yours! ), and announce the winner on Saturday, March 17, 2012. Thanks to Caseable for the pictures. How exciting! Such cool items at Caseable. Sweet, kindle fire cases! Cool giveaway! Love the leopard design for the Kindle Fire Case at Caseables. OH so fun! Love to have a casebable for my Kindle Fire with my name on it, or even initial! Awesome giveaway! I am not sure if I have anything that would fit these cases, but if my phone could fit an Iphone case, then I'm on board! very cute... good luck ppl! Oh Yeah! I love this giveaway. 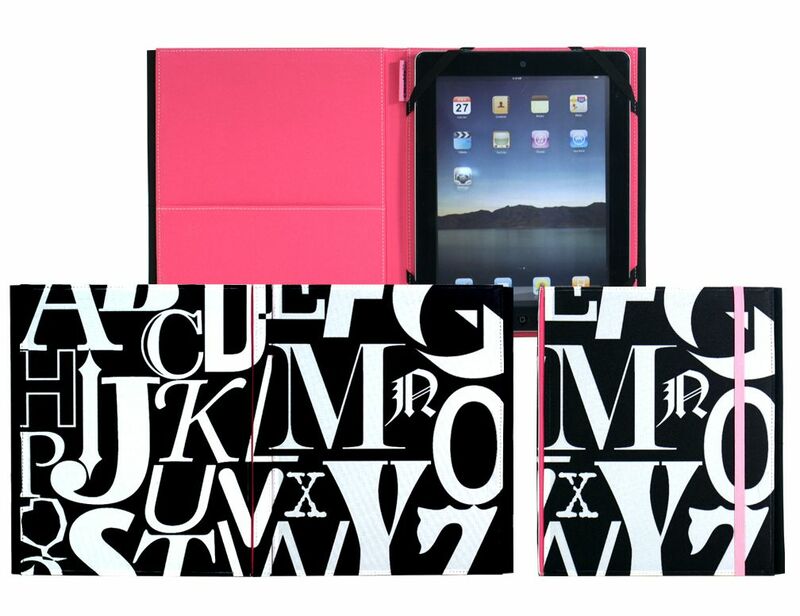 I'd love to have a caseable with my Initial on it for my Kindle Fire. I want one of their journals! Love the purple and orange iPad case! Ooooh, I got lost in the many choices, but I think that pretty blue/violet abstract image for my macbook pro would be great--really need a cover as I'm always lugging it everywhere with me! Have a great weekend Erika! you are so right- it is the norm these days! I would go with the laptop case with the man's tuxedo!! Everytime I click it it just opens a picture of it so I don't know the name of it- but it's darling. I am loving the i-pad case in the painterly designs - very cool, was just saying there needs to be more of these products! I would so make one of those custom journals. I love journals! I love these styles. I'd definitely get an ipad jacket from here. I've been having a hard time finding one I like! Perfect gift for the stylish techie! I'd likely go for a laptop case by Tom Christopher. I love his unique drawings.. they totally capture the spirit of NYC! Wow! This is great! Such fashionable caseables! I'd go for one for my Kindle fire. I love the red one with the monogram. I'd probably get an iPad case with the black & white alphabet motif or an iPad case with one of Van Gogh's artworks on it. Caseable is so great. they make wonderful cases for your electronics. good luck to the entrants! awesome giveaway!! Good Luck everyone! 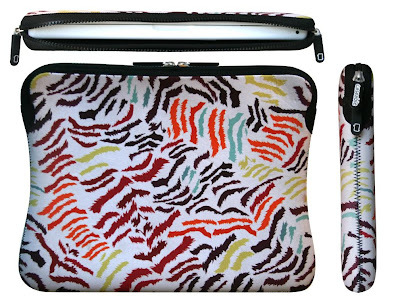 I would put it toward the Laptop Sleeve PC-13-14. I would buy one for my pc17 notebook!